PCWin Note: ER211 SmartPhone Recovery PRO 8.1.4 download version indexed from servers all over the world. There are inherent dangers in the use of any software available for download on the Internet. PCWin free download center makes no representations as to the content of ER211 SmartPhone Recovery PRO version/build 8.1.4 is accurate, complete, virus free or do not infringe the rights of any third party. PCWin has not developed this software ER211 SmartPhone Recovery PRO and in no way responsible for the use of the software and any damage done to your systems. You are solely responsible for adequate protection and backup of the data and equipment used in connection with using software ER211 SmartPhone Recovery PRO. Wondershare iPhone Data Recovery - Wondershare iPhone Data Recovery is the best data recovery tool for lost data on any iOS devices, like iPhone, iPad and iPod touch. With it, you can retrieve up to 12 types of data, such as taken photos and videos, messages, contacts, notes, etc. Leawo iOS Data Recovery - Leawo iOS data recovery software is the best data recovery tool for lost data on any iOS devices, like iPhone, iPad and iPod touch. With it, you can retrieve up to 12 types of data, such as taken photos and videos, messages, contacts, notes, etc. iPod Touch Data Recovery - iPod touch data recovery program can easily recover all types of data from formatted iPod. Our iPod touch 4g data recovery software applies advanced techniques to give healthy recovery result in very less time period. Windows Backup Recovery Tool - How to recover corrupt BKF files? This is most critical task for user when don't know about any BKF recovery tool. In that situation, use only Windows Backup Recovery tool to recover windows backup files and get back all corrupted BKF files. AppCobra 30 Day Trial - AppCobra is designed to let you create iPhone / iPad / iPad 2 / iPod Touch, Android, HP webOS, BlackBerry, and/or Windows Mobile based apps. Tipard Mac iPhone Data Recovery - Tipard iPhone Data Recovery for Mac is able to recover the lost and deleted photos, text massages, videos, contacts, etc. from iPhone/iPad/iPod directly. Besides, it can regain lost data from iTunes/iCloud backup file for all iOS devices on Mac. 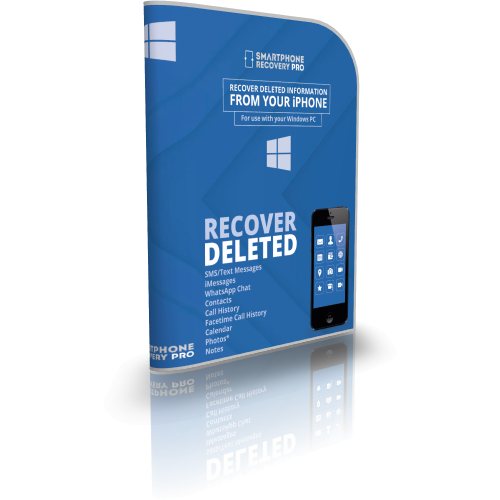 Data Recovery for iPhone (Windows) - Data Recovery for iPhone is a powerful and easy-to-use application, which helps to recover lost or deleted data from your iPhone, iPad or iPod Touch. It can recover up to 15 file types like SMS, contacts, notes, photos, videos and more with ease. Aiseesoft FoneLab - FoneLab can help you recover the lost and deleted SMS, contacts, call history, App data, photos, etc. from iPhone, iPad and iPod directly. Also, it can regain lost data from iTunes/iCloud backup files for all iOS devices. 4Videosoft iOS Data Recovery for Mac - 4Videosoft iOS Data Recovery for Mac can recover photos/contacts/messages/notes from iPhone 6s/6s Plus/5s/5c/5, iPad Pro, iPad Air and more. Moreover, it enables you regain lost data from iTunes and iClould backup. Now, it supports the latest iOS 9. MS SQL Server Recovery - Do you want to perform MS SQL Server recovery process with ease? Then use SQL recovery software which has advanced features that helps you to recover corrupt MS SQL Server database and recover SQL MDF file. More Software of "Infinity Wireless Ltd"
ER210 SmartPhone Recovery PRO - Instantly recover deleted data from your iPhone, iPad and iPod Touch including SMS Text Messages, Contacts, Calendar, Notes, iMessage and Contacts. Data can also be recovered from an iTunes backup file if your device has been lost or stolen. ER245 SmartPhone Recovery PRO - With the SmartPhone Recovery PROÃƒÂ¢Ã‚â€žÃ‚Â¢ for Android, you can retrieve existing messages and recover deleted messages from your Android handset. These messages can then be exported and saved to your Windows PC via CSV or HTML.